The U16 team battled against a Canadian team, the Riverside Rangers, during the championship game at the Clearwater Beach Tournament. The boys demonstrated great net presence and strong power plays. Coach Hallman said, "They found an extra gear and played fast." In the end, the team took second place, but the boys gave it their ALL and FOUGHT to the bitter end! We are so proud of our players! Go Freeze! 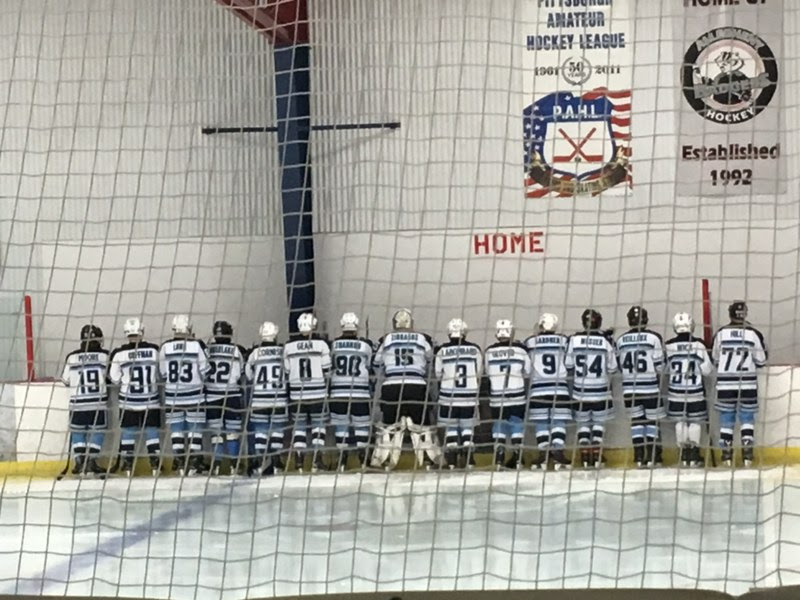 The Bantam UA team played 2 non-league games against Potomac AA this weekend. 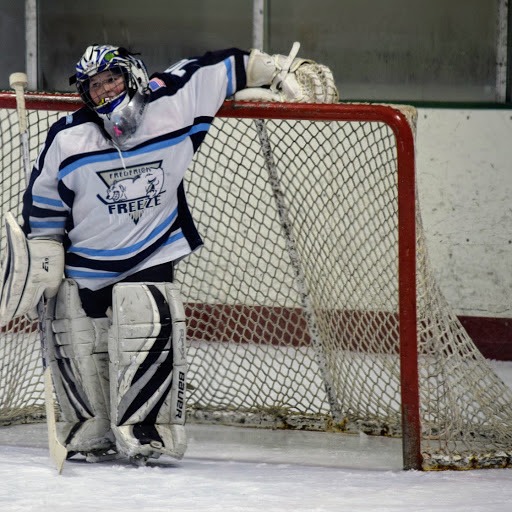 Saturday the Freeze traveled to Woodbridge, VA where they had a hard-fought 3-1 loss. Perry Wolcott scored at the end of the game to prevent a shutout. Sunday, Potomac traveled to Frederick where the Freeze powered to a 2-1 win. They were able to kill off a 5 minute penalty, where goals from Brandon Brower and Brayden Stull sealed the deal. The Bantam B team stepped up at the Three Rivers Cup Tournament in Pittsburgh, PA by playing in the Silver A Bracket. Their opening game against the Rochester Americans 05AA Team, was a narrow 2-3 loss. 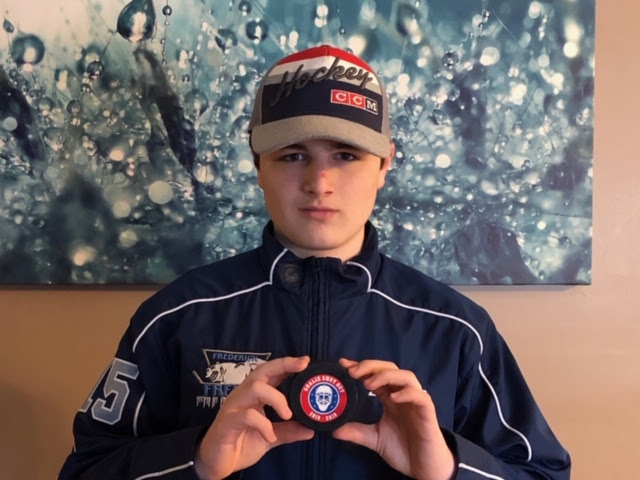 The boys rebounded in game two where goalie, Joseph Zibragos, earned a tournament commemorative puck for shutting out the Easton Ice Dragons. Their weekend ended in the semifinals where a tight 1-1 game was lost in a shootout. 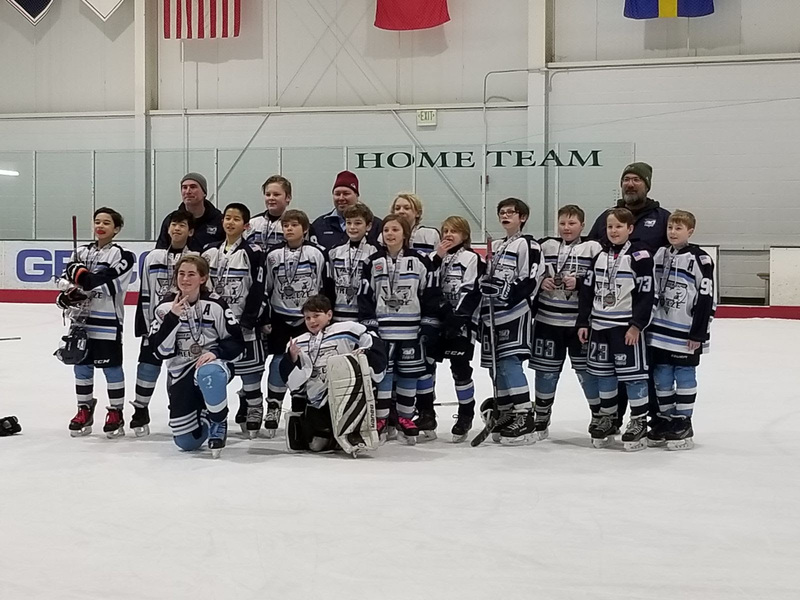 The Pee Wee B team competed in the Big Bear Mountain King Tournament this past weekend at the Gardens Ice House in Laurel, MD. The team started off strong Friday evening with a victory over Tri-City. Jackson Bennett had a hat trick and Ty Yuhas had a play maker. The team continued their momentum into the second game against the Raiders. This game proved to be the most exciting game of the weekend. With only a little over one minute remaining in the game, Frederick scored on a Power Play giving them a 3-1 victory! During the third game VS the Eagles, goalie Carl Borge had an amazing shutout and Jack Dale earned a play maker. The boys secured their third win, 6-0. This clenched their place in the championship game, having the most points. After a tough loss to the Raiders, Frederick came in second place. MVP was awarded to Center, Trent Wivell. Congrats & way to go boys! The Squirt LA team fought hard this weekend in the Big Bear Mountain King Tournament. They came away with a third place finish after only losing one game! 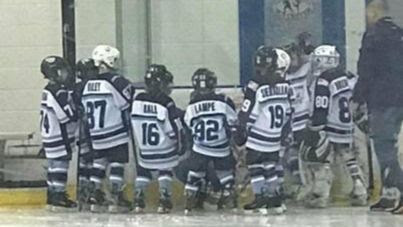 The Squirt B team played in the Big Bear Mountain King Tournament this weekend. The team placed third with a record of 1-2-1. The Mite UA team had a strong showing in the MLK Steel City Shootout in Bethlehem, PA, bringing home second place. After suffering a tough loss to Hatfield, the Freeze came from behind to win their next two round robin games. Hard fought wins against Palmyra and the New Jersey Devils secured a spot as the 3rd seed in the semi-finals. Sweet revenge was had as the Freeze defeated #2 Hatfield, punching their ticket into the finals. 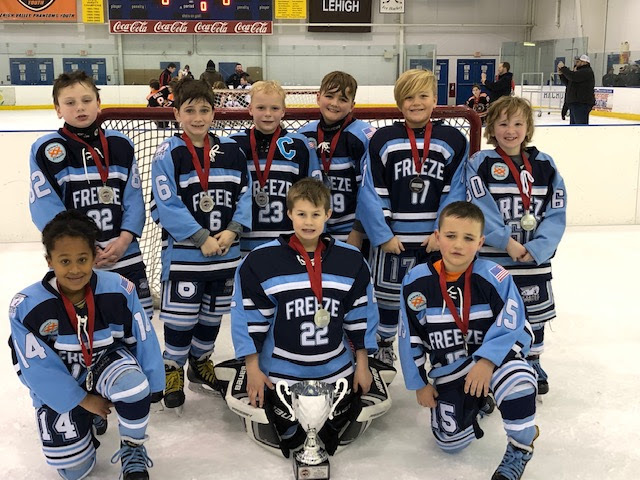 In the championship game, the Freeze gave it their all, but fell short against a tough LeHigh Valley team. Heads were held high as players received their medals and Finalist Trophy. The coaching staff and parents were extremely proud of our players throughout the tourney. All in all, it was a great weekend of hockey, laughs, and friendship. Go Freeze! 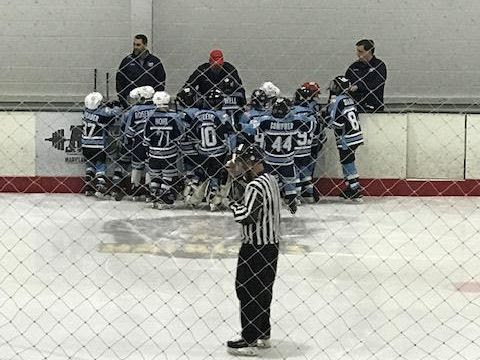 Like the Mite UA team, the Mite LA team competed in the MLK Steel City Shootout. The competition was exceptionally strong, and the LA team answered each challenge with grit and determination not shown before. Many lessons were learned this weekend: how to respond in the face of adversity, how the challenge of playing stronger teams forces you to play your hardest and become a better player, recognizing and focusing on the positives, keeping your chin up after a tough loss, and how to show good sportsmanship. The parents and coaches could not have been more proud of how they played each game! 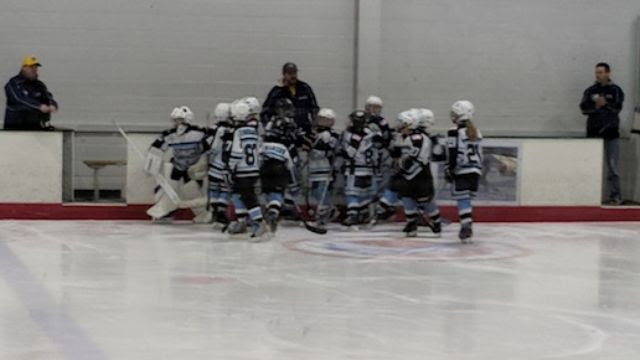 The Mite B team hosted a Jamboree in Frederick on Saturday. Goalie, Dom Studlo, did an outstanding job defending the net. Nicholas Chung helped lead his team in goals scored and Leo Grolton made some great passes and attacked the puck. Many lessons were learned that will provide the players with future growth. Congratulations to all the teams that had games & tournaments this weekend! Keep Up the great work & good luck in this weeks games!